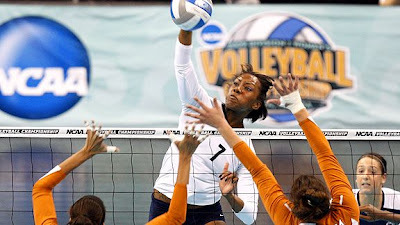 The Penn State Lady Lions won their 3rd straight NCAA volleyball championship beating Texas 3 sets to 2. It was their 102 consecutive win, second in Division I team sports, behind only the Miami men's tennis team's ridiculous 137 straight victories from 1957-64. Was there ever any doubt? Even when things started down 0-2? Probably best program in sports history. Great blog, just discovered today.